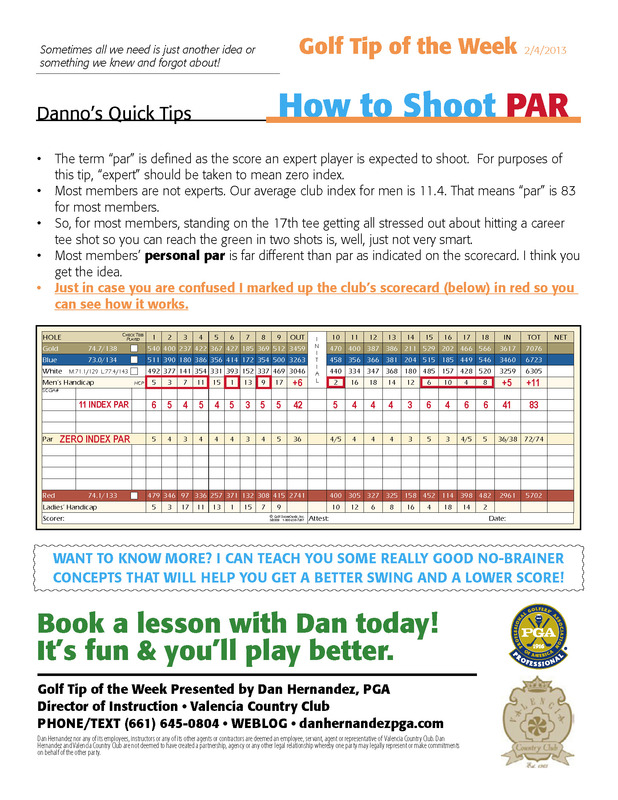 I never posted this at danhernandezpga.com but it was available to members as a download back in February. I thought I would share it now with everybody. Basically, it’s all about being smarter when you play golf and being realistic about your ability. There are PGA TOUR players and then there’s the rest of us. Want a lower score? Play to your personal par and forget about 72 – unless you’re about a +1.